"Part of the Powerbox Group" Power Technics is the front-runner in the development, design, and production of electronic power supplies for industrial, aviation, shipping, rail, telecommunications, OEM, and medial applications. These branches make very high demands of the quality and reliability of power supplies. Power Technics is driven by technological innovation. This leads to customized, state of the art, design power supplies. It is not for nothing that Power Technics has been able to retain innovating companies such as Vital Scientific, Thales, Philips, Rolls Royce, Siemens, and Dräger as some of its regular customers for many years already. 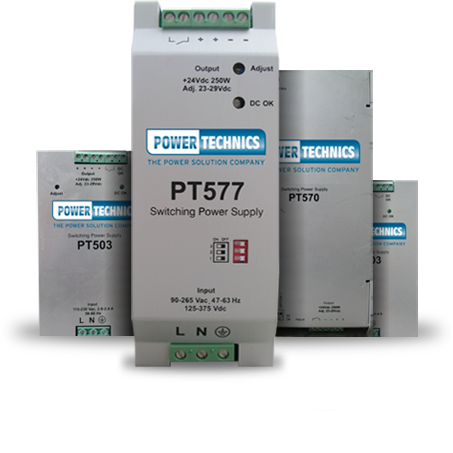 With Power Technics they have made a deliberate choice for customised work, quality, supply reliability and continuity! © All rights reserved Powerbox International AB.